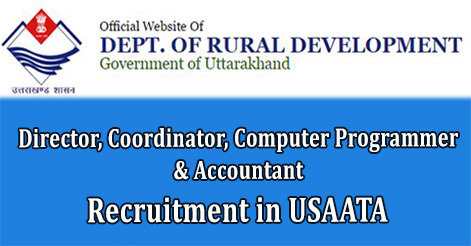 Department of Rural Development of Uttarakhand Secretariat Dehradun, released advertisement for the recruitment of Director, Assistant Director, Social Audit, Coordinator, Admin & MIS Coordinator, Social Development Coordinator, Computer Programmer & Accountant for various department under Uttarakhand Social Audit Accountability and Transparency Agency (USAATA) . This recruitment will be done on deputation basis. Selection will depends on interview, qualification and experience. Only those candidates who meets the prescribe eligibility criteria for the position will be shortlisted for the position. Interested candidates can send their application form along with all important documents to the address given below. The application should be reach on before 30 Sept 2016. Help us to improve this article/job posting "Director, Coordinator, Computer Programmer & Accountant Recruitment in USAATA". We would be glad if you can comment below and provide your valuable suggestions and feedback. If this page have any wrong information/list or out of context content, then you can report us as well. I am B.E. (Mech. 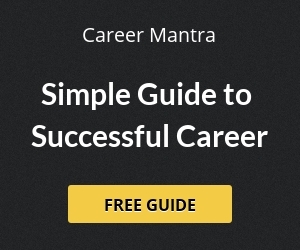 )from University of Roorkee having 38+ year experience in PSU, MNC and Private sector. Am I eligible for Assistant Director – Monitoring & evaluation as my age is 63 years?